In the past, I'd not bothered to pick up the readers which are based on the first two films in the series (i.e. Wardrobe and Caspian). 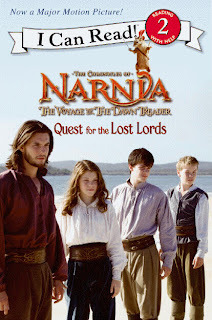 However, this past summer, during our Chronicles of Narnia Reading Challenge I found a few out-of-print copies of the early readers based on the films (based on the books) and used them with Bookworm1. I found that they were mostly useful in introducing him to the characters within the books and giving him an idea of the general storyline. 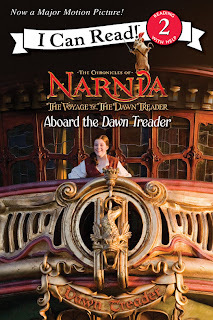 I purposed to pick up the Voyage of the Dawn Treader adaptations as soon as I saw them (and while they are in print!) to use as well. I've been keeping my eyes open and was ecstatic to find these last night! Hopefully Borders will recognize the quality, beauty and significance of Narnia over Tron but in the meantime, I'm thankful for my copies. My calendar is marked already! I also heard from Plugged In that it is good!...no details though. I was so terribly disappointed in Prince Caspian that I have greatly mixed feelings about this one.I hope it's as good as the Lion the Witch and the Wardrobe is! Well, I can tell you that based on the readers, they have messed with the adventures on the first island in some remarkable ways (the island where they are taken as slaves.) There's something off. I will be MOST miffed if they mess up Dragon Island. That scene with Eustace just MUST be perfect! I'll be bummed if it isn't. But! That all said, I'm still pretty sure I'm going to like it because I think it holds to the spirit of the story and my heart rises and swells when I see these books come to life on the big screen! That's so cool that they have Narnia readers now! 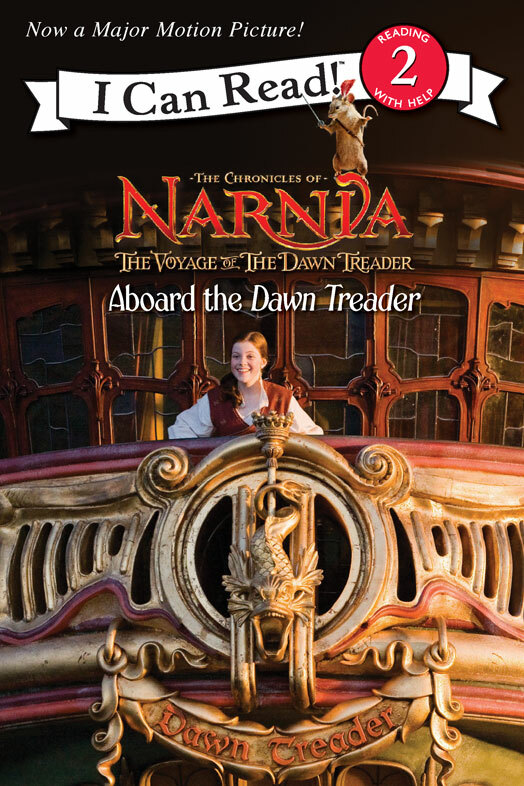 And Voyage of the Dawn Treader is my favorite out of all of the Narnia books.